The only one of its kind, Forsyth Tech’s LPS uses the concepts of Lean Manufacturing to train employees working in a manufacturing environment. LPS can also be an excellent team building tool. 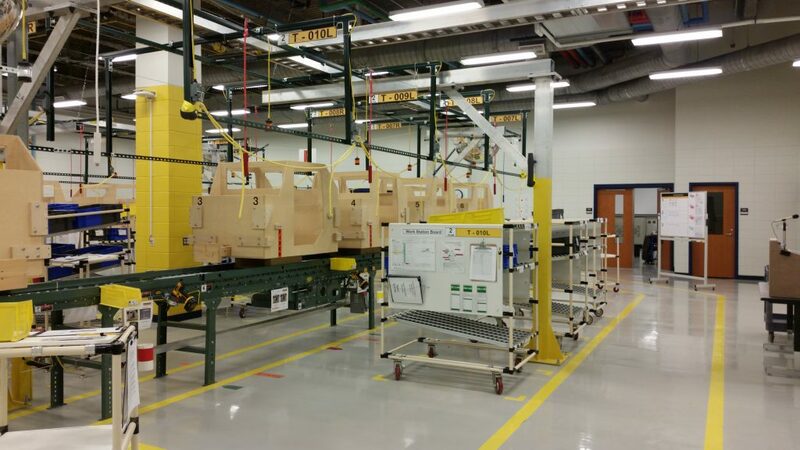 The Lean Production Simulator is intended to simulate a machine assembly process and is a place where you can see all of the Lean Production principles in action. By the end of a one-day exercise, participants will understand how the principles and elements of Lean Production work together. Participants will be asked to work in a team, learn jobs using Job Instruction Training and follow Standardized Work and Job Element Sheets. Participants will also be required to rotate, check quality, and use the Andon system to call for assistance, utilize workstation readiness charts, and maintain workplace organization. To schedule a consultation or for more information about Customized Training, contact Lisa Hawk at 336.757.7705, or lhawk@forsythtech.edu.